Book talk: Have you heard of the great chocolate strike where children took to the streets to protest the rising cost of a chocolate bar? Do you know the difference between the varieties of cocoa bean? How scientists are working towards producing better tasting, more sustainable chocolate? What role does chocolate play in history? How does it influence cultures all over the world? If you like learning about history, science, social justice, and of course chocolate--then this is the book for you! Rave: I love all the different topics this book explores under the unifying umbrella of one of my favorite treats. It is absolutely jam-packed with interesting tidbits and poses many important and eye-opening questions about the future of chocolate and how it is produced today. Plus it includes a few recipes in case all this reading activates your sweet tooth. Don't feel guilty for indulging--there's plenty of health benefits to chocolate that Frydenborg is sure to point out! Every book its reader: I'd give this to chocoholics and anyone looking for a fascinating, transdisciplinary nonfiction read. 5th grade and up. 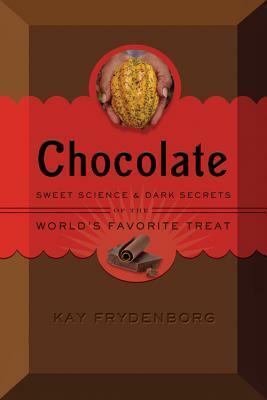 Chocolate: Sweet Science & Dark Secrets of the World's Favorite Treat by Kay Frydenborg: buy it or check it out today!